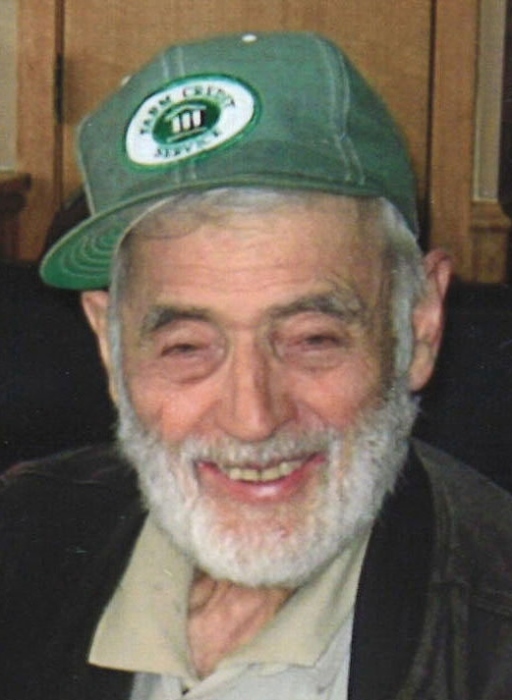 Thomas “Tom” Ritoch, 86, of Alvarado, MN, passed away on Thursday, March 28, 2019 at Valley Eldercare in Grand Forks, ND. Tom was born on April 28, 1932, along with his twin sister Marie, to George and Julia (Covlin) Ritoch. Marie passed away at the age of 2 as a result of an accidental fall. Tom grew up on the family farm near Tabor, MN and then in Alvarado, MN. He excelled in the sport of basketball and attended Alvarado High School, and eventually earned his G.E.D. He served in the U.S. Army from March 19, 1957 to November 15, 1957 and was honorably discharged. In March 1961, Tom and Joyce Maye Eide were married in Grand Forks. After their divorce in 1973, Tom returned to Alvarado and resumed farming. Tom was among the early growers of soybeans in the Alvarado area and was a Polk County registered seed grower of barley, wheat, and soybeans. Later he partnered with Roger Mathsen, also of Alvarado, raising a new variety of soybeans known as McCall. Tom was preceded in death by his parents and his twin sister. He is survived by three sisters, Dorothy Mauch of Lake St. Croix Beach, MN, Shirley Langston of Gold Beach, OR, and Betty White of Surprise, AZ. He is also survived by six nieces and nephews, Karen Wolfe, Bradley White, Barry White, Randy Mauch, Sandra Turney and Kristie Juen. FUNERAL SERVICE:10:30 AM on Wednesday, May 1, 2019 at Our Savior's Lutheran Church in Warren, MN. VISITATION: 5:00 – 7:00 PM on Tuesday, April 30, 2019 at DuBore Funeral Home in Warren, MN and one hour before services at the church. INTERMENT: Holy Trinity Lutheran Cemetery, Tabor, MN. There's still time to send flowers to the Visitation at the DuBore Funeral Home from 5:00 PM to 7:00 PM on April 30, 2019.